Alejandra Montenegro Almonte practice focuses on in the area of international regulatory compliance and enforcement across a variety of areas, including anti-corruption and economic sanctions. Her experience on regulatory matters is multifaceted and includes internal investigations, voluntary disclosures, risk assessments, compliance program development, trainings, and audits. She has represented multinational companies before various government agencies, including the Department of Justice (DOJ), the Securities and Exchange Commission (SEC), and the Office of Foreign Asset Controls (OFAC). Ms. Montenegro Almonte is a native Spanish-speaker and regularly conducts legal matters in both English and Spanish. 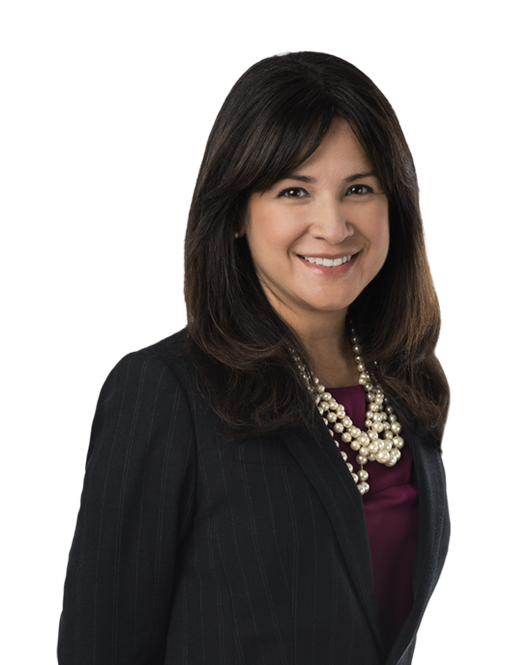 Before joining Miller & Chevalier, Ms. Montenegro Almonte was General Counsel for the North American and Latin American Division of gategroup, a global provider of products, services, and solutions related to the onboard experience of airline and rail passengers. In that role, she oversaw all legal affairs for eight of gategroup's subsidiaries and was the strategic advisor to the senior and executive management teams of the United States, Canada, and Latin America on all legal and regulatory matters arising in North America and Latin America, including regulatory, compliance, litigation, and transactional matters. While at gategroup, Ms. Montenegro Almonte developed and implemented compliance programs across her Division, including on corruption and economic sanctions. As Chair of gategroup's North American and Latin American Business Compliance Committees, she led a cross-functional management team to proactively manage compliance matters across the Americas. Prior to joining gategroup, Ms. Montenegro Almonte was a litigation associate at two Am Law 100 firms. While at Harvard Law School, she served as president of the Harvard Legal Aid Bureau. Ms. Montenegro Almonte is a frequent speaker on compliance and litigation issues at national and international conferences, including the American Conference Institute (ACI) and American Bar Association (ABA). Represented a multinational technology and manufacturing company before the U.S. Securities and Exchange Commission and the U.S. Department of Justice in an investigation of alleged FCPA violations arising from its Southeast Asian operations. Represented a Latin America-based national oil company before the U.S. Securities and Exchange Commission and the U.S. Department of Justice in an investigation into allegations of $4B in cost overruns in connection with the construction of a refinery by one of its subsidiaries. Represented one of the world’s largest multinational food producers in an internal review of certain cross-border transactions and food quality operations in Latin America. Led a global review of a Fortune 10 energy company’s anti-corruption compliance program and related internal accounting controls against applicable statutory standards and best practices, in the context of ongoing investigations in multiple jurisdictions. Led a review of Fortune 100 information technology company’s global anti-corruption program, with the goal of tailoring the compliance program to fit the company’s needs following a corporate restructuring. Represented a multinational company in relation to alleged OFAC sanctions violations arising from its Latin American operations. Represented a European company with worldwide subsidiaries in a criminal proceeding under the International Traffic in Arms Regulations (ITAR). The matter was resolved in favor of client with no criminal charges. Defended the Republic of Ecuador in an investor-state arbitration alleging a breach of the Canada – Ecuador Bilateral Investment Treaty. The Tribunal dismissed the case against Ecuador. Alejandra Montenegro Almonte and Richard Mojica will speak at the Tax Executives Institute (TEI) Dallas Chapter Mexico/Latin America Breakfast Meeting on March 19, 2019, in Dallas, TX. Alejandra Montenegro Almonte will be on the panel for the American Bar Association webinar, "The New Compliance Landscape in Latin America and Its Practical Impact," on February 21, 2019. In this article, Brian Fleming and Alejandra Montenegro Almonte discuss the growing U.S.
On March 7, 2017, the U.S.